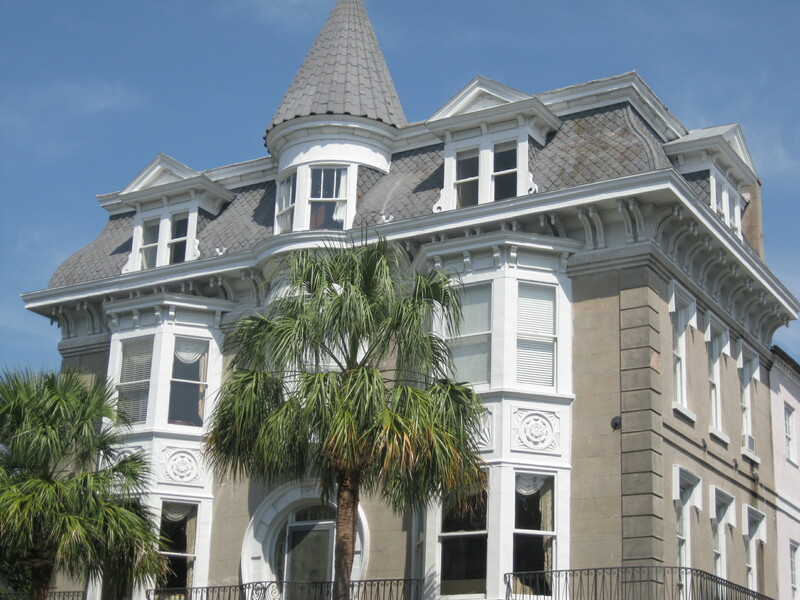 People who tour historic Charleston often walk past grand houses that seem to date to the Victorian period. Common features include the high-hipped Mansard Roof and the bulging Oriel Window, both of which were very much in vogue at the turn of the 20th century. Yet many houses that seem Victorian, such as the one pictured, are actually much older buildings that were updated with external features in the Victorian era. Charleston suffered a tremendous economic disaster in the Civil War, as the terrible toll in lost lives, commerce, money and infrastructure turned a grand city into a shabby shadow of its former greatness. Opulent houses that had been built during the city’s flourishing years still stood, but owners had little means of maintaining them, and much of Charleston fell into disrepair. that swept through the Northeast and led to the destruction of countless antebellum and colonial homes did not reach Charleston, and numerous old homes were spared solely because there was no money to replace them. For those who did want to conform to Victorian styles, it was more economical to add details to the house exterior to give it the look of a brand new home, and thus Victorian architecture made a sizeable influence in Charleston, without replacing many of the other classic styles that came before.The house in the picture is a Georgian style dates to the 1770’s, and was altered in the 1890’s to give it the Victorian look. 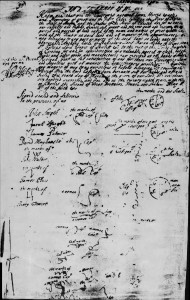 Charleston businessman David Maybank III showed me this deed witnessed and signed by his ancestor (David Maybank) on March 10, 1675. The deed, handwritten in old English script, states that the Indians of “Cassoe” convey the island “Kyeawah” to the Lords Proprietors of Carolina, in exchange for “a valuable parcell of cloth, hatchetts, beads and other goods and manufactures.” What a deal! The island is, of course, Kiawah Island today, and is worth quite a bit more. The Indian name is probably a corruption of the Cusso or Coosaw, which was among a number of native groups living along the Carolina coast when the first European settlers arrived, all part of the larger Cusabo tribe. Among the Cusabo groups were many names still recognized in the Charleston area today, given primarily to rivers, such as Edisto, Combahee, Ashepoo, Wando, Wappoo and Stono. 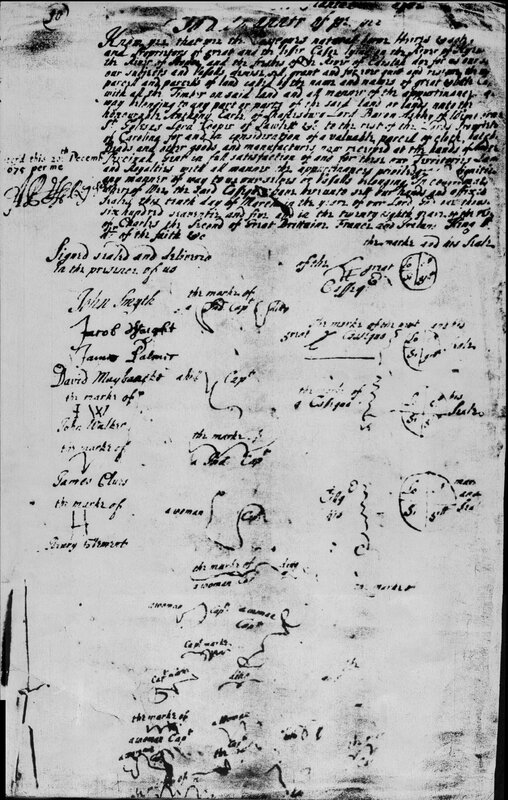 The deed is signed by seven of the English settlers on one side of the paper, and on on the other side are the marks of 29 Indians – the Cusso chief (cassique), three subchiefs, plus 14 women and 11 men who were of some rank in the tribe. and it was good initial relations and trade with the local Indians that helped the tiny original settlement of 57 people survive. 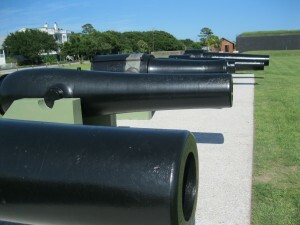 The Maybank name is also a classic South Carolina tradition, that has been included on lists of governors of the state and mayors of Charleston. Ironically, the Maybank family gave an island back in 1993, bequeathing the 4500-acre Jehossee Island for a natural preserve as part of the ACE Basin Wildlife Refuge. The words below were penned by the great SC writer, historian and poet William Gilmore Simms in 1859, describing the alluring natural beauty of our coastal landscape, and are just as appropriate today. more fully compensates than the study of the bald, the wild, the abrupt and stern, which constitute so largely the elements in that scenery upon which we expend most of our superlatives.